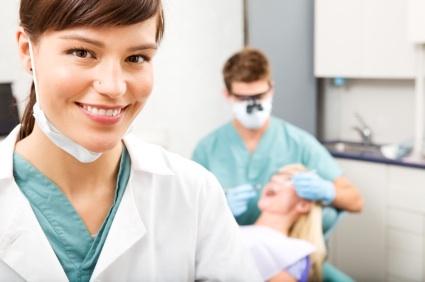 Though most dental clinic visits are planned and scheduled, occasionally dental emergencies occur. At Dakota Dental, we do our best to accommodate those unplanned, urgent situations. From having the knowledge, skill, and equipment to handle dental emergencies to reserving special appointment times, Dakota Dental Apple Valley dentistry office is prepared. Dakota Dental family dentists recommend programming the dental clinic number into your cell phone, so you can contact the Apple Valley dentists right away when a dental emergency occurs. If you or a member of your family experience a dental emergency, call Dakota Dental at 952-431-5774. Serious injuries of the mouth, teeth, and gums should be treated as quickly as possible after the damaging incident. Otherwise, the pain can become worse and the damage can lead to more serious health issues. At Dakota Dental, the dental services team can often repair damage caused by dental emergencies and restore teeth to their natural beauty. For restorative dental work, the Apple Valley dentists have a solid foundation of experience in providing natural-looking solutions through affordable dental implants, oral surgery, and cosmetic dentistry procedures. Apple Valley Dentists, Dr. Shelley Wakefield and Dr. Bennett Isabella, along with the dental services team at Dakota Dental, are ready to serve you and every member of your family—whether it is for routine dental care or dental emergency situations. Call the dentists in Apple Valley, MN to schedule dental services for dental preventative care, cosmetic dentistry, or emergency dental work.